Angler worm. Colour may vary from that shown. Arab worm. Colour may vary from that shown. Army worm. Colour may vary from that shown. Ballerina worm. Colour may vary from that shown. Biggles worm. Colour may vary from that shown. Bookworm. Colour may vary from that shown. 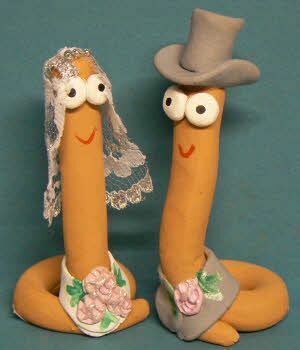 Bride worm. Colour may vary from that shown. Chef worm. Colour may vary from that shown. Chinese worm. Colour may vary from that shown. Choirboy worm. Colour may vary from that shown. Clown worm. Colour may vary from that shown. CND worm. Colour may vary from that shown.